Three months before a comet is to take him back to his home planet after a 400-year long stay on Earth, Do Min-joon meets Korea’s top actress, Cheon Song-yi, when she moves in next door. Although initially put off by her superficiality and arrogance, Do Min-joon slowly falls for her, while also discovering that she is a doppelganger for his first love from 400 years ago. The death of a rival actress and its investigation causes Cheon Song-yi to depend on and fall in love with Do Min-joon when all of Korea thinks she’s the culprit. Not only do they need to find the real murderer before he gets rid of Cheon Song-yi once and for all, the couple must also deal with Do Min-joon’s impending departure from Earth. My Love from Another Star is an excellently written and acted kdrama that deserves all the praise and frenzy that accompanied it. While it initially played out as a standard romcom with a dash of the supernatural, it dispelled those drama stereotypes as fast as Do Min-joon teleports through space. By including the murder mystery and having it help drive the characters and the plot, Star avoided falling into the trap of being another one-dimensional kdrama that relies too heavily on cheesy gimmicks. That is not to say that gimmicks were nowhere to be found, but they just seemed more realistic and grounded than in a typical romcom. Well, as realistic as a drama with an alien could be. 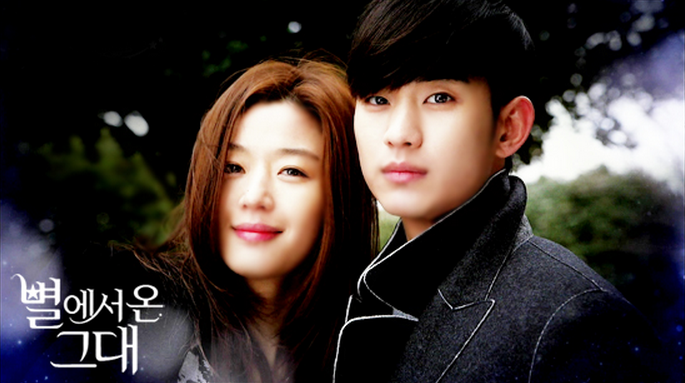 A highlight of Star was its acting, especially from the lead actress, Jun Ji-hyun. Her acting prowess and chemistry with her fellow actors were on full display. Her crying was some of the most natural that I have ever seen. You never really see it coming, but when it does…get those tissues ready because you will most likely be sobbing away with her. Kim Soo-hyun’s acting was top-notch as well, but the rest of the cast just cannot compete with Jun’s greatness. I must give kudos to Kim Soo-hyun for being so believable in his role that he has convinced countless women to wish they had an alien boyfriend that was as charming and suave as Do Min-joon. If there was something to criticize about Star, it would be that the antagonist was a villain in the purest form. While that makes his character seem flat, it’s sometimes fun to just have that one person in a drama that you can unabashedly hate, instead of just sort of disliking. I highly recommend Star and can confidently say that it is one of the best kdramas that I have ever watched. The most frustrating part of Star may be just getting past the first episode, which provides a lot of back story and not enough plot development. But be patient and by the end of the 3rd episode, you will be fully entranced by this drama. Star appeals to a wide audience because it doesn’t exactly follow the rules and conventions of any one genre. It’s part fantasy, part romance, and part mystery; a perfect drama cocktail that most would enjoy. Just a girl and her alien boyfriend. Star was Jun’s first role after a 14-year hiatus from dramas. 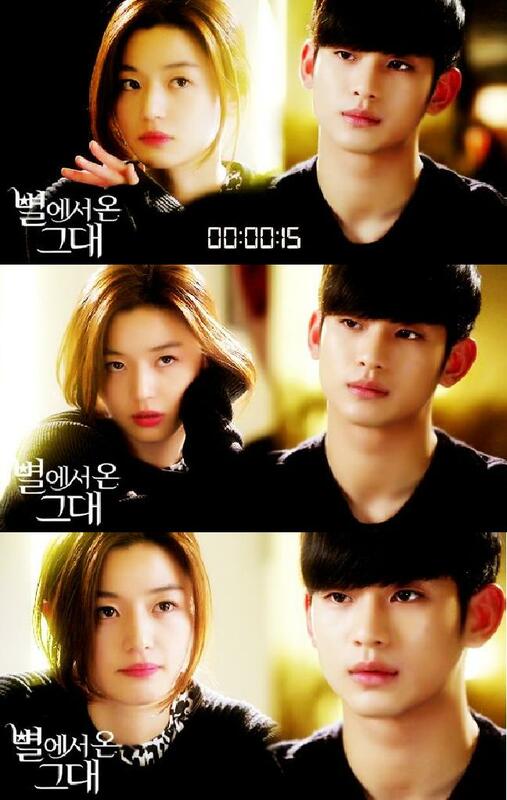 Jun and Kim Soo-hyun previously co-starred together in the movie, The Thieves. Suzy from Korean girl group, miss A, appears in a cameo in ep17. She and Kim previously co-starred together in kdrama, Dream High. It only takes 15 seconds to fall in love. Watch My Love from Another Star here!